Bar Harbor, a small seaside resort on the northeastern side of Mount Desert Island, has a unique symbiotic relationship with Acadia National Park. Together, they are like conjoined twins, both born of the same mother - and she is the land and ocean combined. Historical roots are at play here, a special blend of salty air and the classic Down East character that is recognized and loved by millions. Together, these “conjoined twins” offer an unforgettable Maine vacation. Figuring out things to do and places to see in such a large geographical area with so many options can be a daunting task, especially for those who have never been here before. People who have already visited can quickly point themselves in the right direction. For the first, second, or third time visitor, it helps to first get a visual of what the shape of the land looks like and what towns and villages are close by. Those who have never been here may want to get a feel for the place and imagine being in specific settings. The following suggestions will respond to these varying needs. Start by looking through Photos at the top of this page, or serendipitously move about - page to page. This will provide a good visual experience that will quickly tell you if would like to learn more. If it passes the test, dig a little deeper via “Index” or the interactive Map where you may select a town, village, or special location to access info and more pictures. 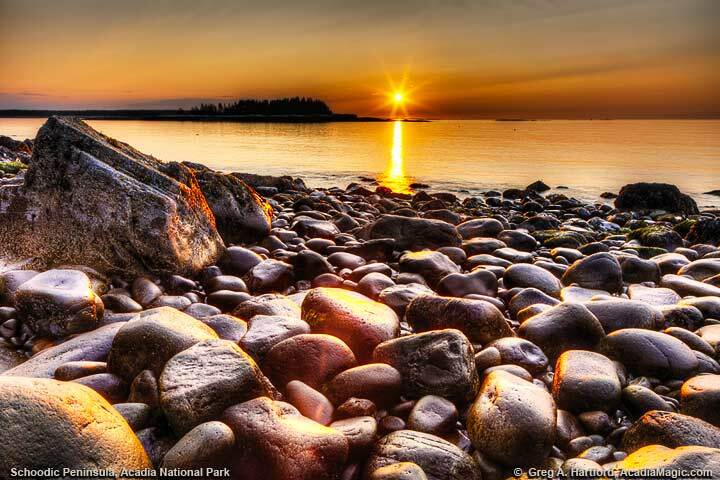 Must see places include Cadillac Mountain, Sand Beach, Thunder Hole, and Otter Cliff. If your interest is still growing, check out what accommodations are available at Lodging then the category that interests you. 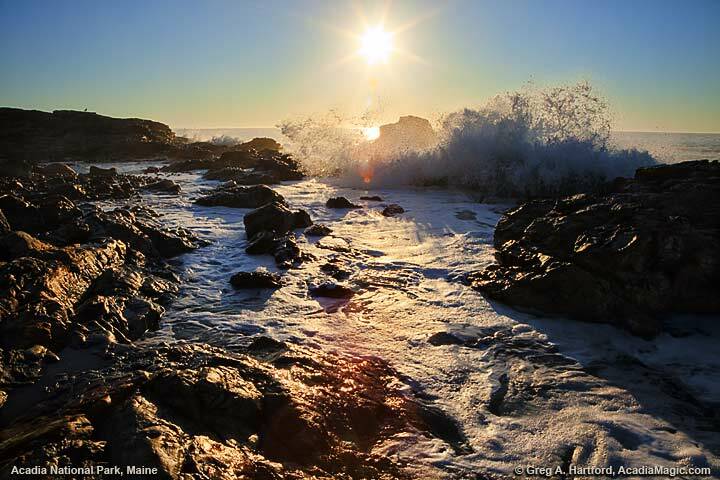 The Maine coast is in your blood to stay and you want to explore it further. This is where Acadia Magic can be very useful. Jump right in by printing pages and assembling them in a small pamphlet or booklet, your personal wish list or vacation itinerary. One of the best ways to start your journey is by visiting one of the two maps - one of Mount Desert Island or the map of the Schoodic Region on the mainland. Either will work just fine. Consider showing family and friends your favorite places by sharing on your social network. Look for this option on each page of interest. Enjoy! Simply put - I am a “Mainer,” born and raised. 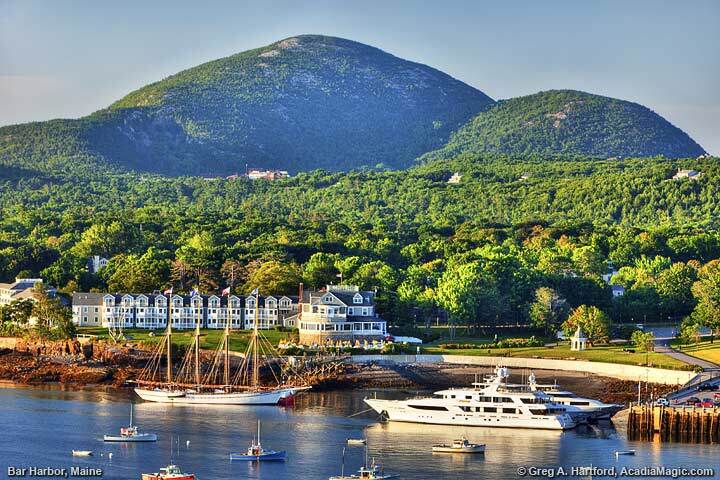 My visits to Bar Harbor and Acadia National Park span over fifty years. Yet, I am still discovering new places that I've never seen or been to. It is like that around here. One of the greatest pleasures I've had since first creating this resource guide was when I heard from a man in his eighties who had lived in Northeast Harbor many years earlier. He wanted to thank me for the most wonderful half hour he had spent in many years. This is why I created this website. It was born of a deeply rooted love I have for the land, the sea, the mountains, and its people, and the personal desire I have to share its beauty with others. I truly hope that this is useful and you find some pleasure here. If you do, please let others know about it.